Magical blend of turn of the century vaudeville entertainment with a contemporary touch. Backed with live music by the exquisite Danidoo Butterfly. 20 mins of utter hilarity. Dr Rube ( aka Ruben de Waal ) has been a traveling showman for 20 years. He began by honing his skills on the streets, in markets, festivals and corporate events. Working with Adelaide based company ‘Slack Taxi’ he began touring overseas, performing at many large festivals and events. 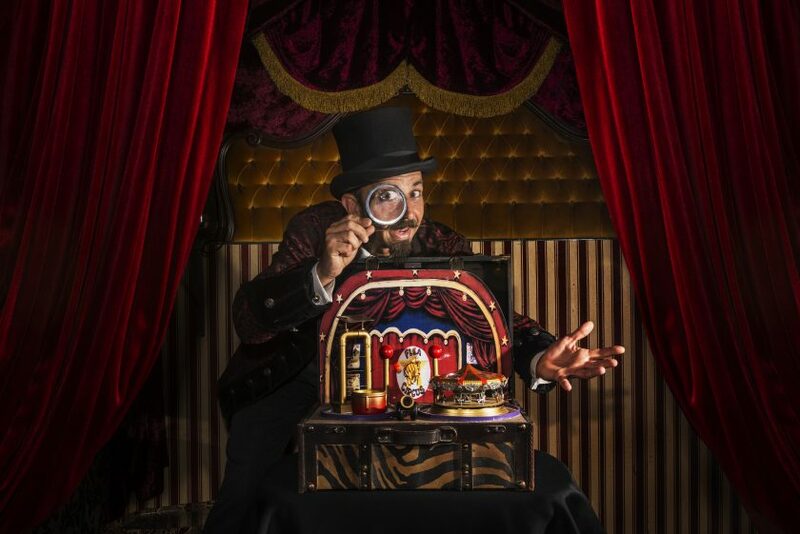 In 2008 he started spruiking Front of House for Space Cowboy’s ‘Sideshow Wonderland ‘ Here Dr Rube found his place as presenter of ‘The Mutant Barnyard’, a freak animal museum, and it was there that he found his fascination with the flea circus.